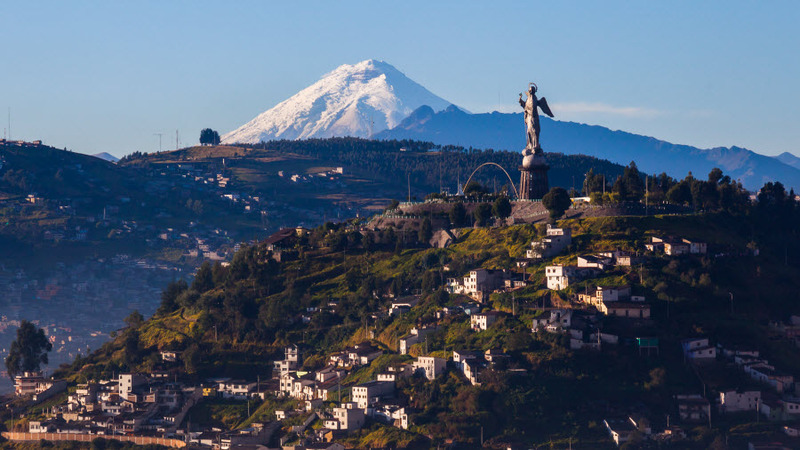 View of El Panecillo in the center of Quito with the Cotopaxi in the background. Photo from Shutterstock. Vancouver-based gold junior, Lumina Gold (CVE:LUM), closed $20 million to help fund the company's projects in Ecuador. Lumina had planned to raise $15 million for the work at the start of the month but up-sized the offering due to "positive institutional and retail demand." The financing was arranged by a syndicate of agents, co-led by Raymond James Ltd. and Haywood Securities Inc.
Lumina updated its Cangrejos Gold-Copper project, located in El Oro Province of southern Ecuador at the start of the month. Contained gold was increased from 4.0 to 8.8 million ounces at a grade of 0.65 grams per tonne. Lumina president, Marshall Koval, plans to advance the project to a preliminary economic assessment in 2018. “We are extremely pleased to see a significant increase in the scale of the deposit and an increase in the grade," says Koval in a news release.